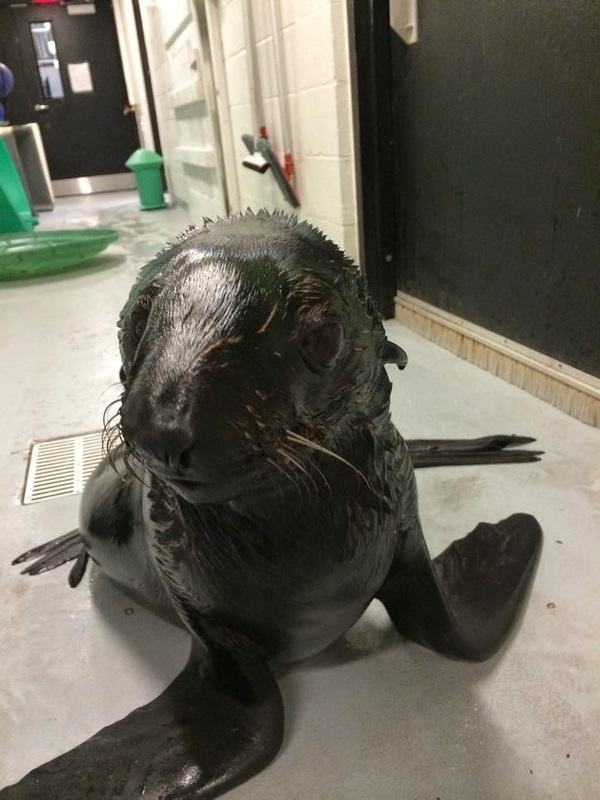 The Aquarium may have been closed to visitors during recent storms, but the marine mammal trainers still reported to work. There were hungry mouths to feed and fun to be had! Check out Chiidax's reaction to all the white stuff. Patty and Kim stayed nearby so they could report for breakfast and, of course, a little fun with the seals and sea lions. Who needs to shovel when you can swim? 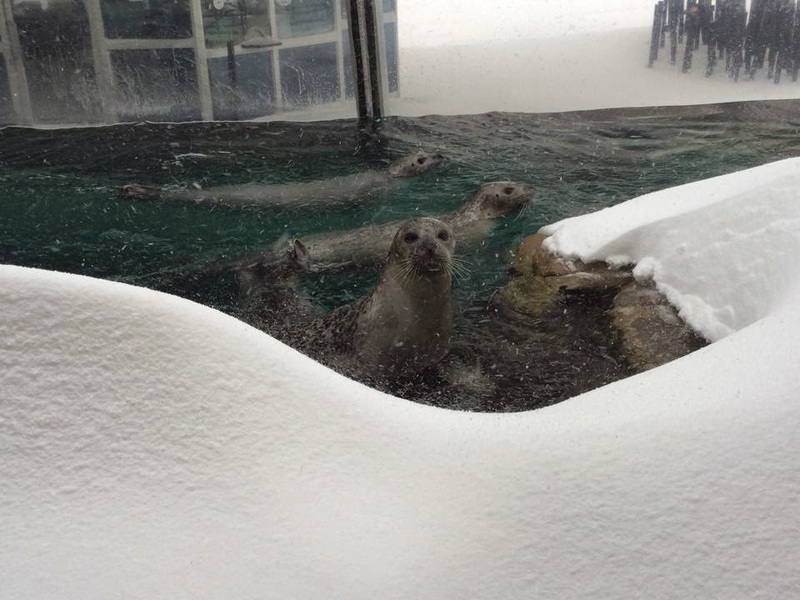 As a local species, harbor seals know how to handle a blizzard. 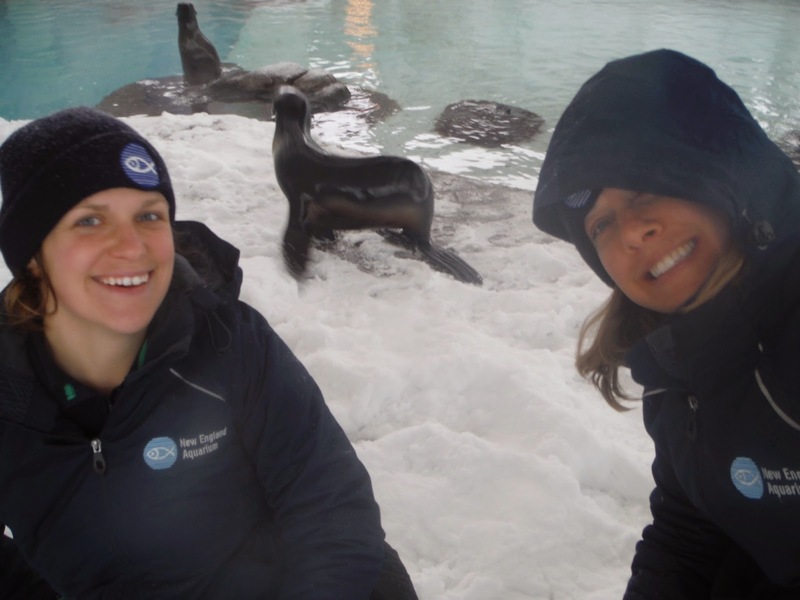 And since there may be such a thing as too much fun in the snow, the seals and sea lions got to spend some time behind the scenes, too. 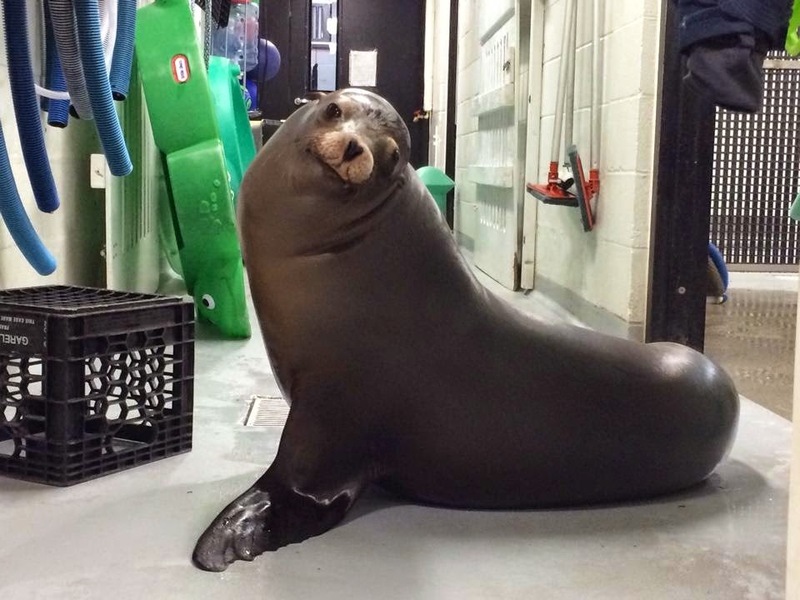 Zoe strikes a pose behind the scenes. Leu flashes his good side for the camera. 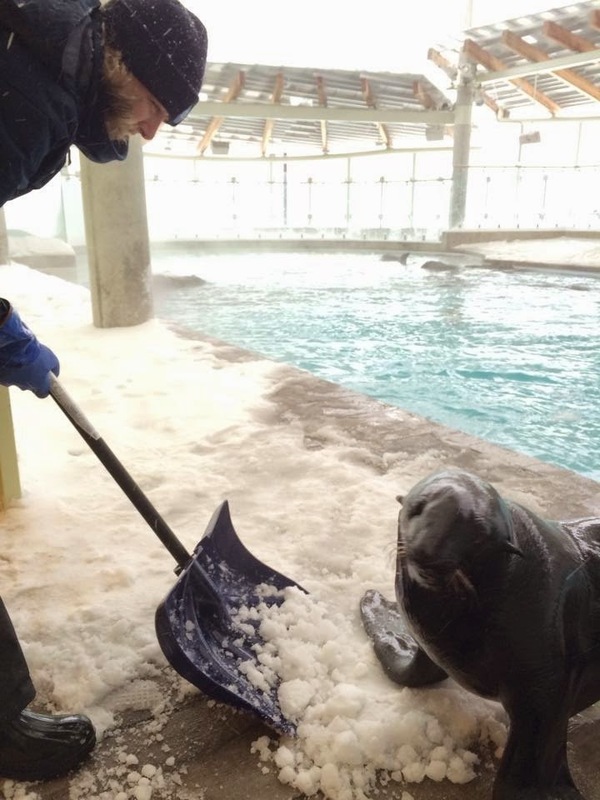 And of course, there was shoveling to be done. Hope everyone weathered the storms OK!